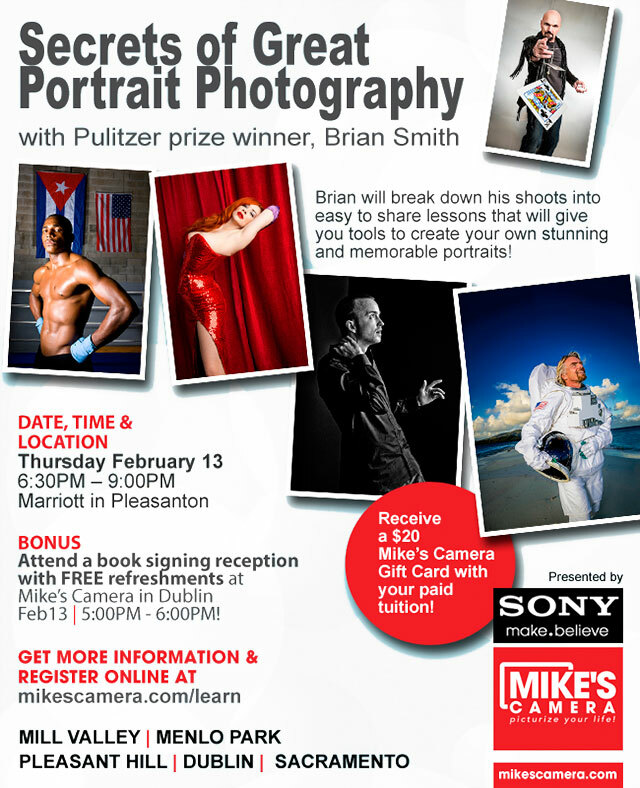 I’ll be speaking about portrait photography in San Francisco’s East Bay, California on Thursday, February 13. We’ll kick things off with a book signing at Mikeâ€™s Camera in Dublin then we’ll move on to Marriott in Pleasanton, California for a portrait photography talk. Click here for more details and to register.